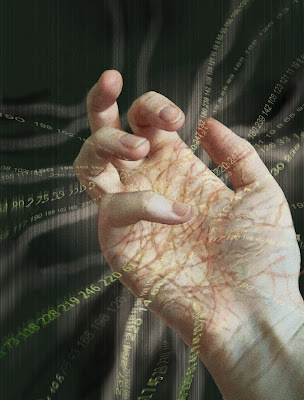 Prime numbers are mysterious and beautiful things; extensively studied yet still not fully understood, they underpin both important cryptography applications and the life cycle of cicadas yet until recently they were seen as having mere curiosity value. Here in his intriguing debut, Paulo Giordano, a young doctoral student of physics, has taken them as his overarching metaphor in his first foray into literary fiction. His novel opens with a young Alice Della Rosa being seriously injured in a skiing accident; a sport she has been pushed into by her overbearing father. In the second stanza, the twin Balossina children are invited to a birthday party with tragic consequences. Mattia’s sister Michela disappears, soon to be presumed dead. The consequences of these terrible events for Alice and Mattia are deep and enduring and shape their lives for the rest of this novel. 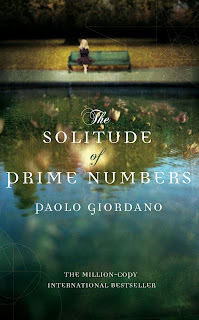 Prime numbers cannot be broken down into smaller parts and neither it appears can Alice and Mattia as what they experienced defines and maintains who they become. Both self harm; Alice who bears her scars on the outside strives to control herself from within whereas Mattia cuts himself to manage the guilt he keeps hidden. They meet as teenagers as the story unfolds and their lives begin to intermingle in ways that offer both hope and despair. This pattern continues into adulthood. Both gain careers and form relationships with others but they are inextricably linked, even when miles and worlds apart, until something occurs that redraws their relationship and by doing so, brings the story to a conclusion as they both come to some understanding of who they have become. When I first closed this novel I was rather unsure of how I felt about it. Whilst I was very impressed with Giordano’s technical brilliance I was not so certain of his skills as a storyteller. I shall return to this point later but be in no doubt that as a craftsman of prose, Giordano is very gifted indeed. It is writing like this that kept me transfixed even when at times the story felt more like a series of startling images than a living entity. Interestingly this impression was given further credence when I discovered that Alice became a photographer, framing others’ lives at points in time just as her and Mattia’s lives had been shaped by certain profound events that froze them in place. If I might indulge myself a little further in ‘metaphor spotting’, I would go on to say that a sense of cold stillness permeates much of the book. The opening scene in which Alice lies injured in the snow as thick fog envelopes her seems another apt theme for what takes place in the protagonists’ worlds; they are imprisoned by their reactions to events that have left them blind to escape and with only the faint warmth from each other to sustain them. This brings me back to how I felt about the storyline. On reflection I have come to see it as almost an incidental thing, a device used by Giordano to present his thesis on the nature of relationships and the spaces between them. Whilst there is a plot it is not in itself a page turner and the supporting characters, well drawn and often sharply observed, are peripheral. This means the reader may finish the last page and ask ‘what happened?’ A fair point perhaps but a question that should follow is ‘what did Giordano show me?’ The answer to that are aspects of us all, magnified and placed on display to mull over and learn from. Giordano is a scientist by training and in a sense he is writing as one here; analytical and dispassionate. However with his undoubted talent for observation and prose I am expectant that he will build on this impressive debut in future work. Right now he is very good, in time he may well be great. Finally a large tip of the hat needs to go to his translator, Shaun Whiteside. I often feel that reading translated texts is akin to watching films in dark glasses; you can discern what is going on but not perhaps in a manner the director intended. Not so here. The prose feels fresh and vibrant and ‘right’. Long may the partnership continue.